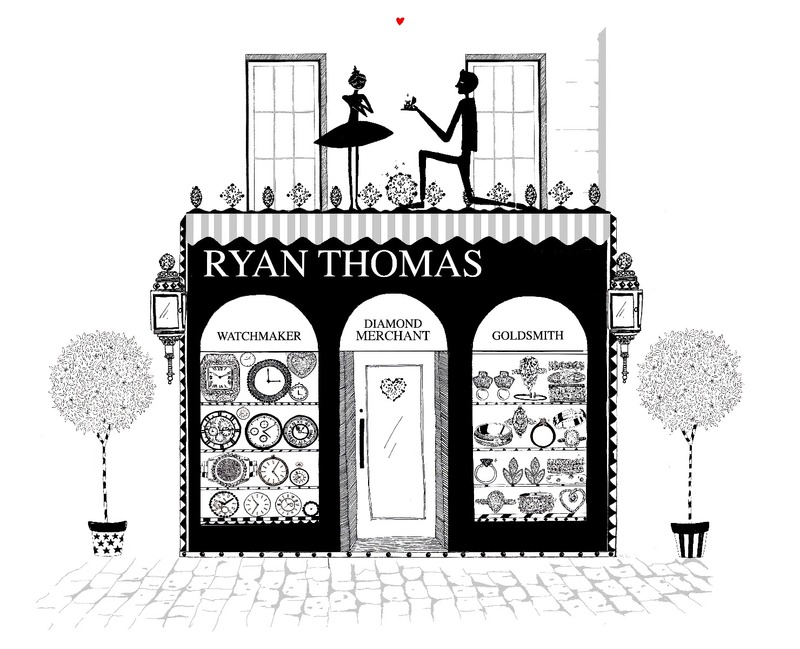 Established in 1979 by Thomas Ryan, Ryan Thomas Jewellers is a family owned, Independent Retailer specialising in ethically sourced Diamonds and Fine Jewellery. In essence, Thomas Ryan has been a Jeweller his whole life. His early years were spent watching his father at the helm of his own highly successful Jewellers in Thurles, Co.Tipperary. With an inherited passion for design and craftsmanship, Thomas began his career studying Horology at the Irish Swiss Institute. Upon graduation, he honed his skills and gained invaluable retail experience whilst working in a leading Dublin Jewellers. On December 9th 1979, Ryan Thomas Jewellers opened its doors, with boundless enthusiasm and a modest collection, just in time for Christmas. A lifelong dream was realised. Soon thereafter, Thomas was joined by his wife Geraldine. Together they assembled a leading sales team, acquired a talented Goldsmith and focused on developing a luxury retail store. Almost 40 years later, the same focus remains; to be innovative and relevant in an evolving jewellery industry, whilst preserving the highest standards of quality and service. "How we shop is rapidly evolving. With so much instantly available online, the choice is overwhelming and the trends are so transient. That is why we are devoted to creating an innovative retail store, with a finely edited collection of quality jewellery. Above all, we wish to provide a warm environment, where you feel welcomed and inspired, somewhere you can relax, browse at leisure and seek trusted advice"